The Opening Night and Day of the 2017 MLB Season are in the books. One thing that is for certain is that the MLB season will continue to deliver excitement night in and night out with all 30 of there clubs providing some fireworks. While it is just a few games on the books of a 162 journey for all of these clubs, one that starts in April and ends in October, it has showed us a few things to be excited about, including seeing teams like the Cleveland Indians and Houston Astros open the season with three games sweeps while teams like the Baltimore Orioles, Boston Red Sox, Minnesota Twins and Washington Nationals jump out to a 2-0 record. Along with some hot starts by a few clubs we have also seen a few clubs come out of the gates struggling, like the Texas Rangers who many be the top prediction for the AL West Crown. In the end we have to just sit back and let the teams play while the standings play themselves out over the next six plus months of baseball. That being said here are a few of the exciting things we have taken notice over the start of the 2017 MLB Season. 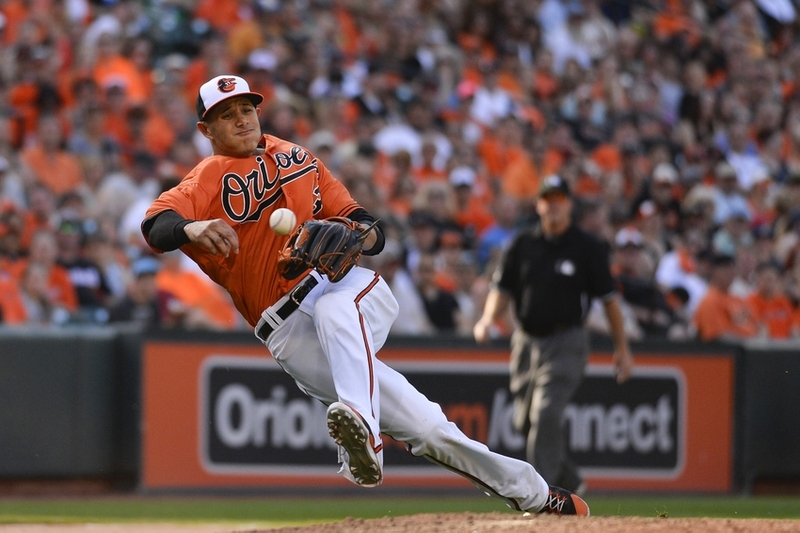 It was the first game of the 2017 MLB Season for the Baltimore Orioles but it wouldn’t slow down the best infielder and maybe the best fielder in the game overall. Machado made nearly every fielding play look simple, including an impressive diving play in the top of the 11th that not only took away a double but recorded an out as he threw from his knees to take a hit from Devon Travis. The Orioles would later go on to win the game in the bottom of the 11th off the big bat of Mark Trumbo. While many experts argue that the designated hitter should be implemented in both the American and National League some of the games top hitting pitchers would argue that. One of those pitchers is Madison Bumgarner of the San Francisco Giants who not only hit one home run on opening day but two. In his career Bumgarner has 16, including some impressive shots off of some of the game’s top starters including Clayton Kershaw and Zach Greinke. The game is on the line, the hitter is ready and the pitcher just stands nodding at his catcher on the mound. Then in a blink of a second and a crack of a bat what looked like a potential win for one team flips to a win for the other team. After a dramatic ninth inning where the Arizona Diamondbacks allowed the San Francisco Giants to take the lead in the top of the night, the team capped off the bottom with a walk off hit to pick up the 6-5 win. That same excitement took place earlier in the day as the St. Louis Cardinals bounced back in the bottom of the ninth after the Chicago Cubs tied in the top half of the inning with their own walk off hit. Then just a day later we saw Mark Trumbo launch a ball into the seats at Camden Yards driving fans to their feet with that same crack of the bat. While it delivers a gut blow to some, it delivers excitement to others!